There are many activities families and close groups of friends can engage in around Brisbane to wash away the drudgery and monotony of work life. With a multitude of shops, parks, events and concerts around Brisbane, there is something for everyone in the centre of the Sunshine State. And with the school holidays coming up near the end of March, planning a little quality time with those closest to you may just provide that extra boost to help you get through the rest of the year. Everyone needs a night out once in awhile, so bust some moves at the world’s biggest and Australia’s first ‘90s Mania Festival at Eatons Hill and flashback with top hits and four big dance acts. Come relive the ‘90s with dancing starting at 8pm featuring 10 number one world hits to set the mood. 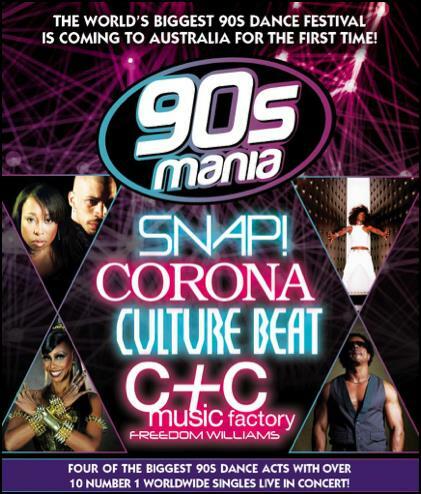 The festival also features Eurodance and US superstars who will perform live throughout the night including Snap, Corona, Culture Beat and C+C Music Factory playing classic 90s songs live in concert. Though the tickets are a little pricey at $86.70, being able to experience this Australian-first event is well worth it. If you are looking for something to satiate the tastes of everyone in your party, then the Redcliffe Sails Festival at Sutton Beach is boasting an array of activities to suit the entertainment needs of all attendees. With live music, the beautiful Sutton Beach, markets with unique accessories and culinary marvels, this colourful and free seaside celebration is the perfect place to be these upcoming school holidays if you do not want to blow the budget. Sutton Beach also boasts the best view to watch the 68th annual Brisbane to Gladstone Yacht Race as they sail along the Peninsula, as well as the Easter Bunny making a special visit to entertain the kids during Good Friday. So pack your swimming gear, a spade and some sunscreen for a day sand, sun and fun. Die-hard Harry Potter fans and parents of young witches and warlocks can not afford to miss out on this HP-themed market day. From 1.30pm to 7pm at Paddington, magical attendees and muggles alike can browse HP-themed merchandise throughout a multitude of stalls at the Pastel Palace – a true Diagon Alley. Attendees are welcome to dress up to match the Hogwarts decor for a truly immersive experience. And those without a costume can come as they are or buy some truly wicked clothing as well as HP-themed candles, soap and other themed accessories. So prepare the fireplace (or broom) for a truly magical time out. 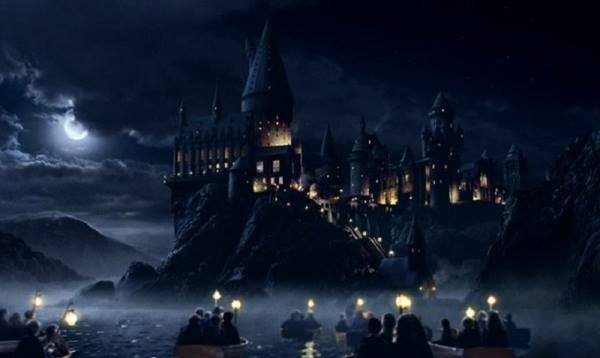 For more information, visit the Evening at Hogwarts Facebook page. Got little architects on your hands? Then bring them to the Build Your City LEGO™ Workshop at the Museum of Brisbane, open from 10am to 4pm with free entry, running until April 10. 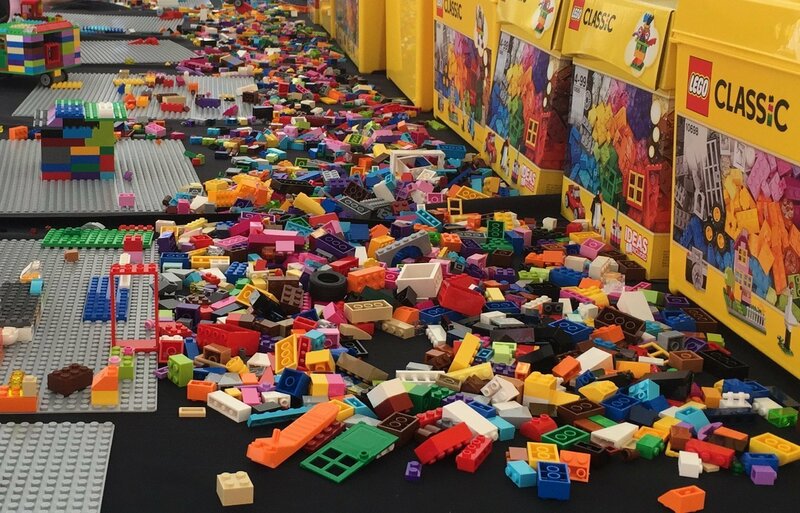 Children aged four to 15 are invited to create new buildings for the Brisbane skyline in their own designated spot and enter their creation to win a special LEGO™ prize pack valued over $270.00 – a great incentive to keep the kids entertained the whole school holidays. The little architects can have their pictures taken by a staff member as a memento of the day while being able to share their creations with the world as they are inspired by upcoming architectural models of buildings destined for Brisbane and its Nine Sister Cities. Are you looking for a great family day out with the promise of chocolate and tons of activities to entertain the kids? If so, the Easter Sunday Family Fun Day at Victoria Park just north of the Brisbane CBD is the perfect event for you. From 9am to 1pm, families can experience an array of free activities including face painting, balloon animals, a jumping castle, kids gold activities and a petting zoo. Entry is free with no bookings required and the kids will also get the opportunity to meet the Easter Bunny who will make several appearances throughout the day. 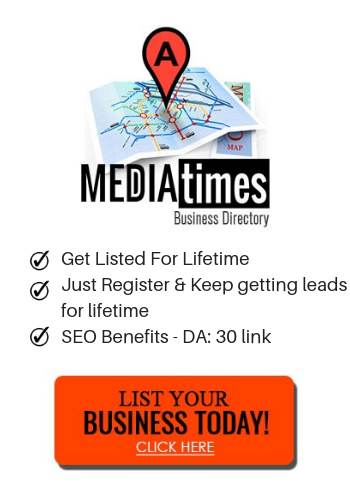 Besides the activities, there are a bunch of specials to take advantage of including adults only needing to pay kids prices when playing PuttPutt as a family all day, with The Bistro holding a special BBQ on the day for event attendees.